Now for something entirely different..
Peter Scion has been a bit of a pet project we’ve been working on for the past two years. After hearing this strange synth-folk music on an Cold Wave mix, by French DJ Clement Meyer for our site, we carried out a bit of detective work and finally tracked down the creator to Borås in rural Sweden. 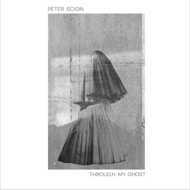 To cut a long story short, having turned up at his door almost 15 years after this music was made, we are very happy to present Peter’s first proper release - besides a few CDR’s distributed in his homeland at the time - his music is finally available to a wider audience. The vinyl release includes an exclusive insert designed by Anna Kraay, which details the full story into how we discovered Peter - and what that felt like for him to be ‘discovered’ many years later.